Leather lined, removable foot bed. 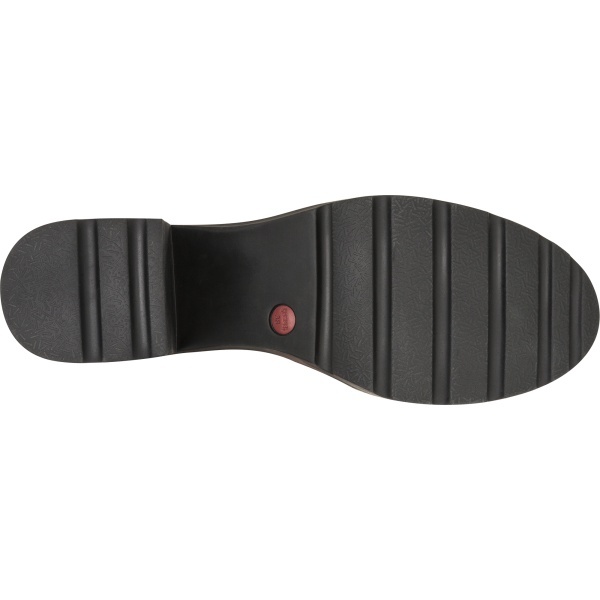 Thick, rugged rubber outsole and heel. Lining: 83 % Leather - 17 % Fabric. Anouk is the representation of a proper winter style: a comfortable block heel to offer great stability, marking a femininity inspired by the fashion spirit of the 1990s. 2. Clean and moisturize the leather with "Organic Clean & Care" by Camper. 3. Polish the leather with a cloth.